Guided by Hermes’ art, Caris finds the path to a higher consciousness, one grounded in a holistic and alchemical matrix that encourages the growth of a healthy mind. All the arts—including music, art, and literature—are rooted in the sacred tradition and form the center of meditation. From ancient times the arts have conveyed mystical knowledge besides practical skills of their crafts. The treasure discovered on the golden path is paradoxical thinking, the key to a higher consciousness. 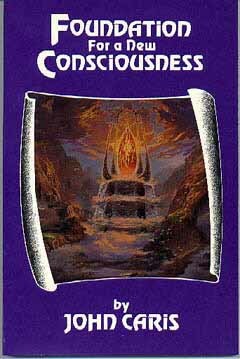 Offering the reader a dare, Caris shines light on the path to cultivate a higher consciousness. Many examples selected from literature, philosophy, art, and music illustrate paradoxical thinking and its blossoming. Among those artists and philosophers discussed are Bela Bartok, M. C. Escher, Frank Herbert, Hermann Hesse, Carl Jung, Ursula Le Guin, Pablo Picasso, Plato, Tom Stoppard, and Edgar Varese. Some of the important ideas investigated include personal transformation, microcosm-macrocosm, gender duality, perceptual viewpoints, magic theater of the mind, intuitive use of signs, paradoxical thinking, sacred geometry, and continuing the quest. $8.95 plus $3.00 shipping by US Postal media mail in the USA.